Today marks the official end of the #NeomHappy100 Happiness trial which I was lucky enough to be part of. So what was it all about and how was it? Happiness – it’s a subjective state. Whether it’s a good book, a few quiet moments to yourself or your favourite song on the radio, that ‘feel-good’ thing is different for everyone. H A P P I N E S S I S W H E N W H AT Y O U T H I N K , W H A T Y O U SA Y, A N D W H A T Y O U D O A R E I N H A R M O N Y.
Happiness is not always straightforward but it is something everyone deserves and the Neom Happiness Programme was their way of sharing that bit of daily positivity with us. 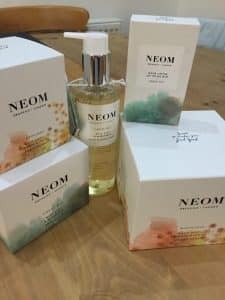 At Neom they absolutely believe that happiness starts with a positive state of mind, so last year they decided to take a closer look at how they can help lift mood through the power of pure essential oils, and the perfect combination of daily lifestyle tips and tweaks, from their 11 holistic health experts on the Neom Wellbeing Board. Inspired by a previous original trial, they developed an extended, fun and informative 28-day programme to help us feel happier in our day-to-day life – a collection of simple, practical steps designed to work alongside their Scent to Make You Happy™ product bundle for a daily dose of that feel-good factor! Boy were those product amazing! 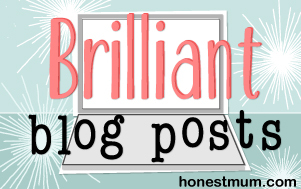 I had a couple of faves, the mood boosting spray and the body scrub I loved! I love aroma and I love essential oils – they really do lift me – always have. Each step of the Happiness Trial fitted into our busy schedules easily, so there’s was no need for loads of spare time or any complicated equipment. So how do I feel at the end of February? Good I guess. Do I feel happier? Well, maybe I do. I’m not sure one can quantify happiness just like that – but I have learnt some valuable things, one of those is that taking and making small amendments to each day is certainly a good idea. I followed the programme almost perfectly – a couple of the days I couldn’t but 90% spot on. What I did really enjoy was making a little ‘me time’ and not making excuses or saying ‘oh I haven’t got time for a walk’ or ‘I haven’t got the energy to wake up 5 minutes earlier to do a little yoga’ or etc etc. By taking part in a trial I MADE myself do it and I think that’s the point! We have to put those 10 minutes on one side to do the small things – read a book for ½ hour, disconnect from tech for ½ hour , make that gift for someone, phone that friend, watch that movie etc etc. Will I continue? Well I will try my best? If not, why not? I want to enjoy every day, I want to live my life, I want to experience things, I want to love my life, and for the most part – I do! I have an amazing partner, family, and friends, I have reasonable health, I have a wonderful job, I have a great social life and I have a lot of love from a lot of people and of course I have my website. We all have our issues – ups and downs – life’s not perfect all the time, but, hey, who’s is? So why shouldn’t our quest to be HAPPY (whatever that means to you) go on that list? Thinking about it, I guess this list for me EQUALS Happiness! The programme also got me thinking – we only have one shot in this world and no one knows when one will ‘exist stage left’ so why not try and be as happy as possible, what’s the alternative?